Sheena Metal, an entertainment icon who has anchored numerous radio shows for over 19 years in Los Angeles, has been named one of Talkers Magazine’s 2013 Frontier Fifty, an exclusive selection of outstanding talk media webcasters. The Sheena Metal Experience can be heard Monday through Friday from 5—7pm on LATalkRadio.com. Talkers Magazine is a trade industry publication related to talk radio in the United States. In addition to radio, it covers talk shows on broadcast and cable television as well as internet-only shows and podcasting. The magazine is nonpartisan, advocating the advancement of conservative, progressive, and apolitical talk radio. The magazine’s online counterpart is talkers.com, which provides free access to all content from the print version. 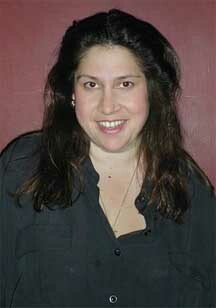 Sheena Metal has anchored a wide and varied number of radio shows in Los Angeles. During her six years at KLSX, she helmed five different programs. Currently, five days a week at LA’s hottest new station LATalkRadio.com on The Sheena Metal Experience, she interviews television and movie stars, Broadway legends, studio heads, writers, doctors, chefs, shark experts and ghost hunters … to name only a few. In addition, Metal hosts three other weekly shows for the successful radio station. They are Music Highway, an internationally syndicated music/talk hybrid, Haunted Playground, a paranormal cornucopia of ghosts, monsters, aliens and other things that go bump in the night and, her newest effort, Two Chicks Talkin’ Politics, which pairs her with Brady Bunch alum Susan Olsen, for a show that uses both ladies’ irreverent opinions to provoke and re-unite Americans during this difficult time for our country. For more information, visit www.talkers.com/frontierfifty2013 or www.sheenametal.com. It is now confirmed that Erich Bergen will reprise his critically acclaimed portrayal of Bob Gaudio in the film version of Jersey Boys, directed by Clint Eastwood. Bergen played the role in the First National Tour, Los Angeles, and Las Vegas casts of the Tony Award-winning Best Musical. Bergen’s film debut, How Sweet It Is, co-starring Paul Sorvino and Erika Christensen, will be released on DVD, iTunes and OnDemand in Fall 2013. On television, he has appeared on Gossip Girl, Person Of Interest, Desperate Housewives, Franklin & Bash, and he also starred in Joey Dakota, a 2012 pilot for the CW Network. Bergen’s other recent stage work includes Billy Crocker in the National Tour of Roundabout Theatre Company’s Anything Goes, the title role in Hero at the Marriott Lincolnshire, and Rudi Gernreich in the Los Angeles premiere of The Temperamentals. 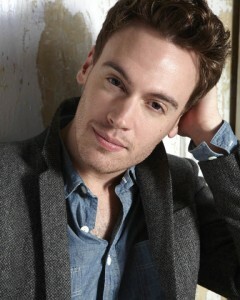 Erich Bergen is repped by Julia Buchwald at Don Buchwald & Associates and by Lori Danziger of Persona Management. End LA and Scott Disharoon have announced they will present The End Of It, a new play by Paul Coates, for a limited engagement at the Matrix Theatre on Melrose with previews beginning Saturday, September 7, and opening set for Saturday, September 14 at 8pm. Directed by three-time Ovation Award-winner Nick DeGruccio, the world premiere of The End Of It will run through October 20. 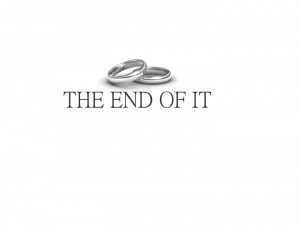 The End Of It tells the tale of three couples (one gay, one straight, one lesbian) who simultaneously confront the possible dissolution of a twenty-year relationship. The honest, humorous, and frank situation delivers a voyeuristic powerful punch as the couples erupt with anger, blame, grief, and ultimately acceptance that this may in fact be the end of it. The cast will feature (in alphabetical order) William Franklin Barker, Leslie Bartlett, Paul Coates, Ferrell Marshall, Kelly Coffield Park, Wendy Radford, and David Youse. The scenic design is by Francois-Pierre Couture, lighting design is by Steven Young, costume design is by Morgan DeGroff, and sound design is by Ollie Marland. The production stage manager is Todd Nielsen. Playwright Paul Coates is a writer, actor and producer. 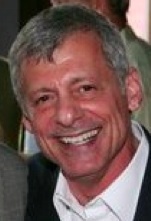 His first play, Desire!, was produced off-Broadway and at the Colony Theatre in Burbank (where he directed it himself). His play The High Life received an off-Broadway workshop production, and Hypno-Lite was produced regionally. His collection of short plays, Acts Of Desperation, won the LATC Monologue Competition. Other plays include Kathy Good and Speaking Of Bill. As an actor, Coates has appeared in productions of The Elephant Man, The Life And Adventures of Nicholas Nickleby, Wild Oats, As You Like It, The Chalk Garden, The Man Who Couldn’t Dance, The Kentucky Cycle, Titanic, and Hobson’s Choice, among many others. Coates is the owner and president of iManage Talent & Literary Management. There will be four preview performances of The End Of It on Saturday, September 7 at 8pm; Sunday, September 8 at 5pm; Thursday, September 12 at 8pm; and Friday, September 13 at 8pm. Opening is set for Saturday, September 14 at 8pm. The regular performance schedule will be Thursday, Friday and Saturday at 8pm and Sunday at 5pm through October 20 only. All seats are $30. Tickets can be purchased online at www.plays411.com/theend or via phone by calling (323) 960-4418. The Matrix Theatre is located at 7657 Melrose Avenue in Los Angeles, 90046. Ample street parking is available.